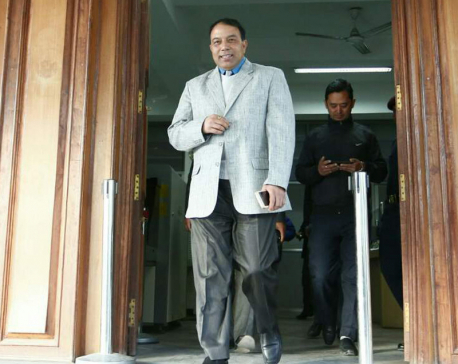 KATHMANDU, Jan 5: The government on Thursday sought a 24-hour clarification from National Reconstruction Authority (NRA) Chief Executive Officer (CEO) Sushil Gyewali for the second time, asking him in writing why he should not be terminated from his post. The clarification notice has been served on CEO Gyewali for the second time following consultation with the Attorney General Raman Shrestha by Prime Minister Pushpa Kamal Dahal. The Cabinet meeting on Thursday entrusted Prime Minister Dahal to settle the issue after agreeing in principle on dismissing Gyewali from his post. 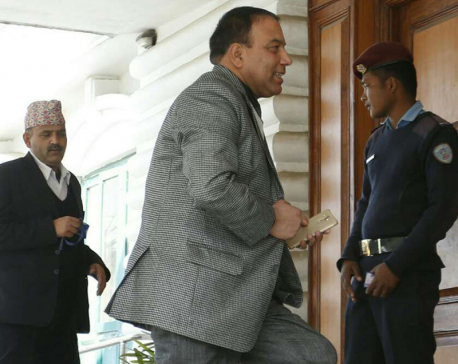 On last Thursday, the government had issued a 5-point clarification notice to Gyewali, seeking reply within a week in line with the Section 11 (4) of the Act Relating to Reconstruction of the Earthquake Affected Structures, 2015. 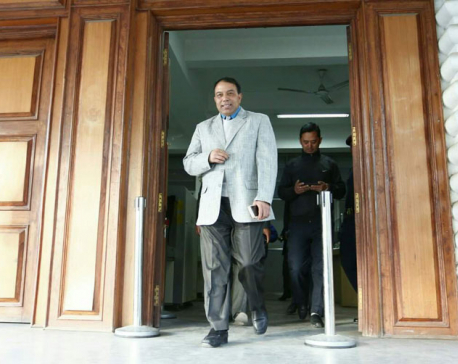 Responding to the notice, Gyewali had submitted a 72-point-long clarification at the Office of the Prime Minister on Wednesday. The government has been unhappy with the working style of Gyewali after the rehabilitation work for the earthquake victims did not move ahead even one and half years after the mega earthquake. The then KP Oli-led government had appointed Gyewali as NRA CEO.